The use of virtual reality (VR) technology - and not only in the design phases, but throughout the construction phases and in facilities management too - is quickly becoming the biggest trend in the built space today. Up until now, several AEC (architecture, engineering and construction) professionals have realised the benefits of virtual design and construction (VDC) and building information modelling (BIM), which enabled the first paradigm shift from a legacy 2D workflow into a virtual reality. This meant that the full design intent of a building project could be conceptualised, designed, analysed, visualised and coordinated across project teams in a virtual 3D environment. 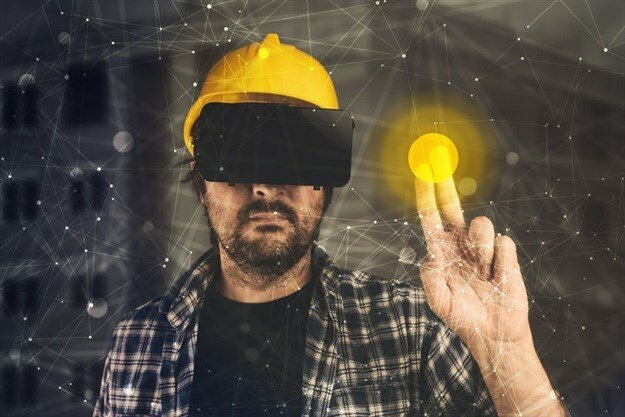 While both of these remain important to the process, the latest in immersed virtual reality solutions assist in breaking down all previous communication barriers between design, engineering and construction, where an information-rich virtual 3D model of the project can be experienced by everyone involved - and before ground is even broken. To put this into a visual context; VDC and BIM equally have important roles to play in enabling us to “follow the yellow brick road”, change elements in the design of the road and along the journey to Oz. Once these design elements have been established, through continuous adoption of gamification, immersed virtual reality allows us to jump straight into Oz – instantaneously – to experience the layout of the buildings, the land and surrounding areas in a virtual environment. Design elements and attributes can also be modified or changed completely – depending on the scope and requirements for the building project – and before these become a major consideration or cost during construction. For a project team, this innovation holds a number of invaluable benefits. The design process is extremely thorough and ultimately presents a holistic design of the project. By linking Oculus Rift VR headsets to VDC/BIM software, VR coordinated sessions can be used to proactively collaborate on practical and buildable solutions to address any potential conflicts between design, engineering and construction before building starts and throughout the process. This can significantly reduce the risk of building things incorrectly and save time on disputes - thereby driving operational efficiency throughout the construction process that will also boost time and cost savings on building projects. Added to this, the project team can allow the client to walk through and get a “real-feel” experience of their new building or property before it is built – as opposed to just looking at a blueprint, a 2D computer-generated rendering or a scale model. Continued advances in design technology and immersed VR are also tremendously shifting the limits on the size of building projects that design teams can generate models for at any one time. For instance, it is possible to generate virtual models of entire cities, up to 100km2 and over 100,000 buildings. These city-size models can include high fidelity 3D terrain models with aerial photography, roads, railways, bridges, services, structures, buildings and landmarks – whether existing or new - for the proposed development zone. This all makes it possible to see a full 3D rendering of an entire city before that city exists. But, what if it were possible to experience the city… to walk around the park, test the traffic routes or look out at the view from a window on one of the top floors of a high-rise building. With increased gamification adoption in VDC and augmented reality (AR) solutions, this is where immersed VR solutions are headed – and the tools are developing quickly. Augmented reality and virtual reality are two of the biggest and most efficient advancements the industry has seen in the 21st century. Being at the cusp of what these solutions can do for AEC professionals and growing our own capabilities through project-based work, our experience has shown that most people have to try VR out for themselves. But we have yet to see a person who has tried it and emerged sceptical to its very real potential. William Johnston is regional director of WSP | Parsons Brinckerhoff, Structures, Africa. With 14 years' experience as a professional engineer in South Africa, Nigeria, Kenya and the UK, he has covered a varied range of projects, from a prestigious high-rise office block in central London, to the emergency rehabilitation of a township school in KwaZulu Natal; from extensions to Gauteng's largest sewage works, to the development of Africa's first "green" city in Pretoria.